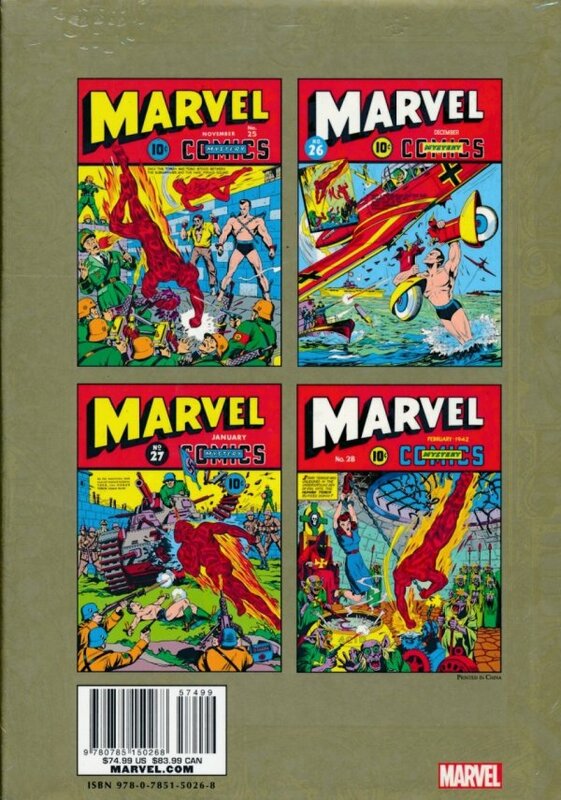 The comic that started it all - Marvel Mystery Comics - continues its historic Marvel Masterworks run. Featuring the headlining heroes that made Marvel an overnight success - The Human Torch and Sub-Mariner by Carl Burgos and Bill Everett - each issue offers 64 jam-packed pages of thrills and adventure. And those two heroes are just the tip of the iceberg, 'cause this is the Golden Age! You'll also see the conclusion of Ka-Zar's 1940s Jungle Adventures, the whimsical Jimmy Jupiter's debut, the eerie Vision's avenging hand, The Patriot's fight against Fifth Columnists, Terry Vance's mystery-detective exploits, and The Angel's battle against weird monsters and mob menaces. 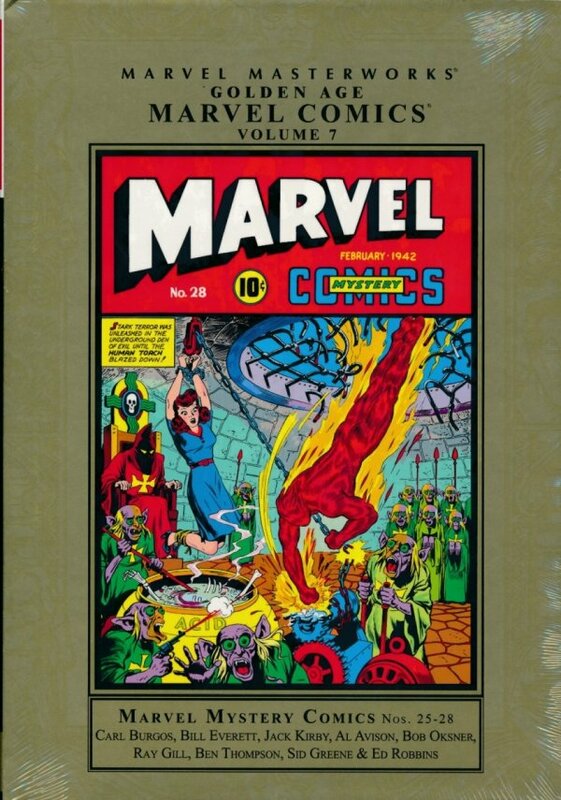 Collected for the first time in 70 years, it's a once-in-a-lifetime opportunity to read these Golden Age classics. So reserve your copy today, True Believer! Collecting Marvel Mystery Comics #25-28.